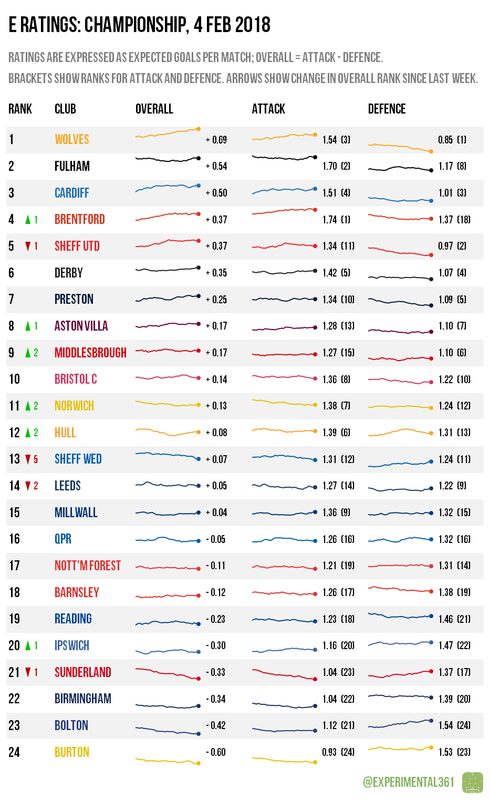 Wolves‘ ratings continue to soar at the top of the division while Fulham and Cardiff continue to look strong. Hull definitely appear to be rebounding under Nigel Adkins, with defensive performances improving in particular, but there’s been no such bounce at Sunderland since Chris Coleman took over. It’s looking increasingly likely that Wolves will be returning to the Premier League but the race to join them in the top two remains wide open. Cardiff and Derby are best-placed as it stands, but both have plenty of work still to do. Preston‘s form has left them looking around two league places better than a few weeks ago, although they still look likelier than not to miss out on the play-offs. Sheffield United and Brentford have seen their own top six prospects almost halve after recent poor results. If nothing changes then both Burton and Sunderland look set to drop into League 1, but there’s a cluster of four other clubs all looking capable of being dragged into the relegation battle. 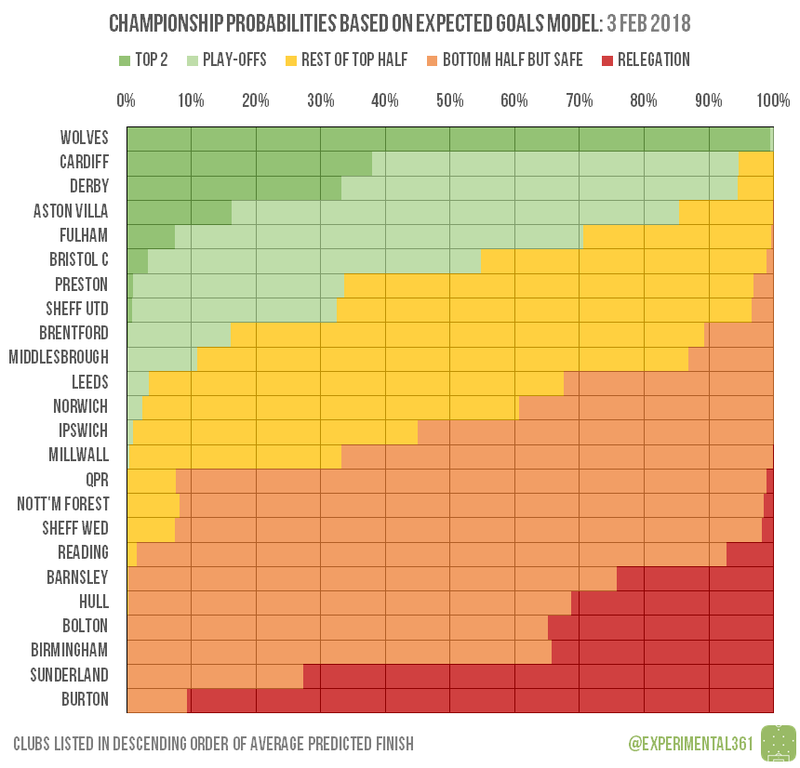 Birmingham‘s recent improvement has halved their own chances of suffering the drop, but they’re not out of danger yet.